We continues our Coaching Champions series with Mike Rivera and the Bolles boys. Rivera was an assistant at Columbus North High School in Indiana leading his teams to a runner-up finish and state titles in 2002 and 2003. 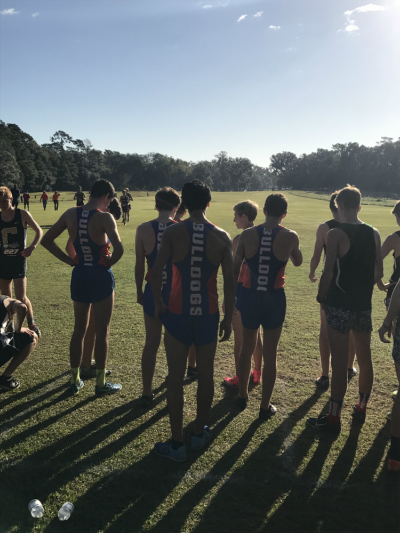 At Bolles, the Bulldogs were the 2016 runner-up and 2017 state champions at the 2A Cross Country Finals. We caught up with him to talk about this year's squad and their journey to the top of the podium. The boys kept touching upon the workouts that they had been doing all season. Nothing too special, but we did make sure that we did not shut down or back off too early. Coming into the season, we thought that the chances were really good, but knew that we had challenges from teams such as Satellite, Trinity Prep, and Bishop Kenny. Midway through the season, I wasn't so sure. The team had some obstacles to work through and things were not coming together the way we had hoped. Statewide, performances of others were getting closer and closer. Right before the tournament series, the obstacles were starting to go away and the boys were really hitting their workouts. Like normal, I told them to give it their all for 5000 meters. Earlier in the week, we talked about how the State Meet could be something really special and that they were the ones who had put in the work to get it done. At one practice, I highlighted each runner's beginning on the team and how far they have come in a short time. Our race plans are never too difficult or complicated. The boys work to the front and do their best to hold on or move up. They really put their coaches at ease when we saw them at the halfway point and had put themselves in great positions. The guys, as a whole, put everything together for this race. 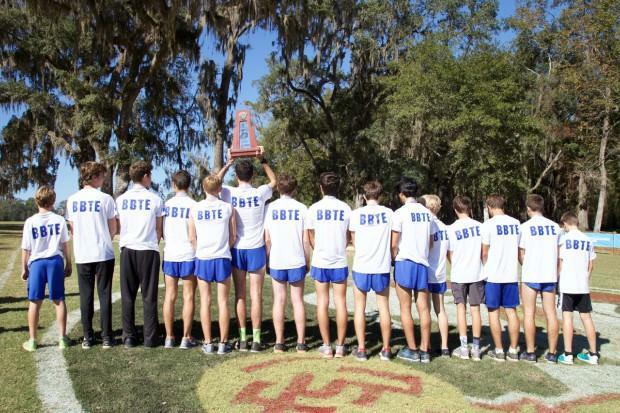 Bolles had the individual champion, team champion, 5 of the Top 15, and 7 of the Top 37 individuals. Our biggest challenges were getting through some injuries, staying focused on the task, and reminding the boys that everything would fall into place at the end of the season. Even though the team finished 7th at the Great American Cross Country Festival, we were not completely pleased and left North Carolina feeling a little disappointed. 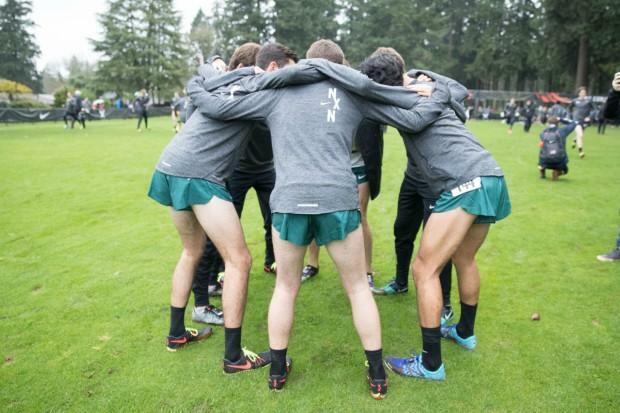 At this point, we had to pull everyone together and refocus on State and NXN. The trip to the Manhattan XC Invitational (a last minute decision, literally) got us back on track. The guys loved the trip, the course, the competition, and seeing teams we never see. Again we finished 7th, but the guys left NYC upbeat and feeling great about things to come. Nothing specific comes to mind. Upon our return from NYC, the guys started to click through all the workouts. These guys are top-notch. 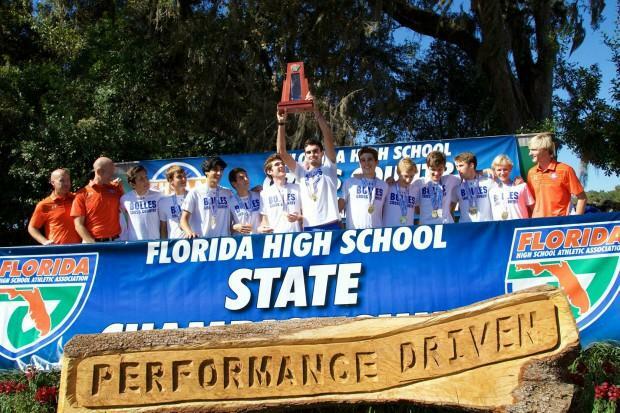 They are great representatives of The Bolles School in the classroom, in the community, and on the course. At the same time, they know how to have fun and when to get serious. Some team conversations are memorable and some I need to forget right away. The team would not have any of these successes if we did not have Coach Steve Stam and Coach Matthew Morris. We all have our areas of expertise and they mesh in incredible ways that work for us. Both of them could be great head coaches. My hope is that the guys see me as very calm and observant. I let the guys be leaders and allow them to learn on an individual basis and as a team striving for goals. The guys know that there are those rare moments when I will let them know if something needs fixing. I am big on key experiences and try to have several of these learning experiences throughout the year. We might be different than most teams, but I do not assign leaders/captains at the beginning of the season. I learned this from Coach Rick Weinheimer at Columbus North High School (Columbus, IN). Each boy has unique traits that can be useful in a team environment and I want them to feel that they can play an important role with the team. At the Team Banquet, I will honor those who stood out during the season. The team has 2 MVPs this year....Charles Hicks and the 7 guys who qualified for NXN. The way that they came together at State and NXN was phenomenal. We always have lofty goals, but the performance they put together at Nike Cross Regionals Southeast was something we had in our dreams, but were not completely sure if it would all come together on that given day. 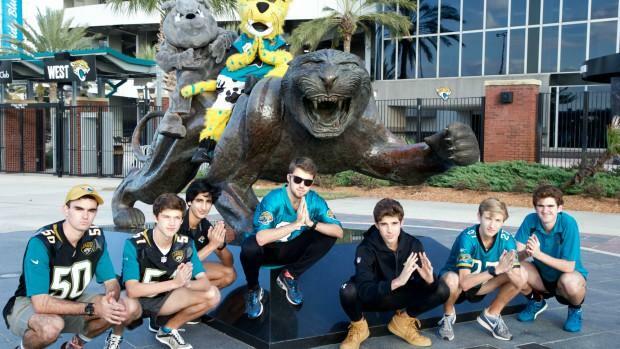 Charles Hicks, Chase Rivera, John Bowers, Ben Foltz, Alex Hastings, George Lewis, and Kamren Khan impressed us all. They really believe in BBTE and the Monster Island Distance Project. This 2017 Team ranks as the best team that I have been associated with as a head coach. As an assistant, the 2003 team at Columbus North High School was an incredible group of runners and people. Top 4 runners to ever wear a Bolles uniform and all 4 are sub-16. In addition to these accomplishments, the team, from top to bottom, was great to work with and made every day enjoyable. I would like to add that the team at Bolles is much more than the Top 7 guys who get the press once the post-season begins. Every individual that I get to work with is striving for individual and team goals. The success in past seasons, the current season, and beyond directly correlates to the positive attitude, work ethic, and goal-oriented traits of all 54 runners on the current team whether their names find themselves in an article or not. In addition, I get the pleasure and opportunity to work with the best parents and families. I feel like someone grouped up the best parents at Bolles and told them that their boys would run cross country. You never know what can happen from year to year.The guys know that they have put themselves in position to obtain more special moments next year. I am blessed to work with them in their quest. I love this team!